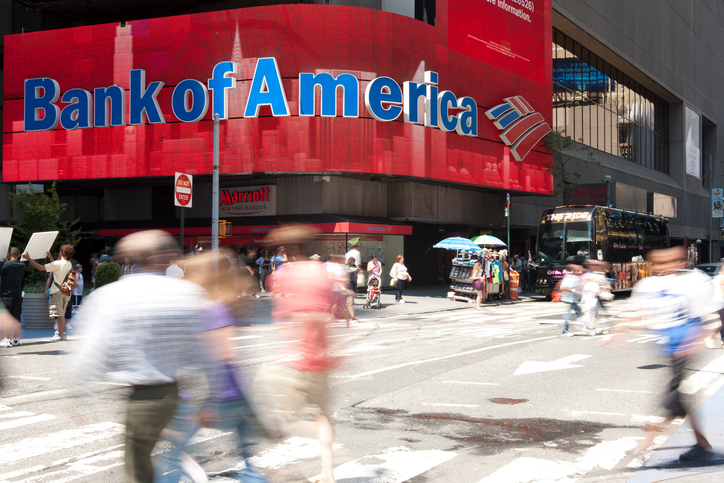 BofA's consumer banking, global markets, and wealth management divisions drove performance in the third quarter. On Monday, Bank of America reported net profit of $7.2 billion for the third quarter, up 32% from last year. Earnings for the banking giant hit 66 cents per share on revenue of $22.8 billion. Analysts had forecast revenue of $22.67 billion for the quarter and had expected earnings per share of 62 cents, according to data from Refinitiv. “Responsible growth, backed by a solid U.S. economy and a healthy U.S. consumer, combined to deliver the highest quarterly pre-tax earnings in our company’s history,” Chief Executive Officer Brian Moynihan said in a statement. While revenue rose 4% for the quarter, non-interest expenses fell 2%. Moynihan has focused on cutting costs during his tenure, and the bank has pledged to hold expenses at about $53 billion per year for the next two years while continuing to invest in technology and talent. It was the fifteenth consecutive quarter BofA was able to improve operating leverage by cutting expenses, Moynihan said. Profits were also helped by last-year’s tax cuts and by rising interest rates, according to BofA. Income tax expenses fell more than 16%. Higher interest rates forced Bank of America to pay 0.50% on U.S. interest-bearing deposits in the third quarter, compared with 0.38% in the second quarter. Still, the bank’s net interest margin rose 4 basis points to 2.42%, pushing net interest income up 6%. The bank’s year-over-year loan growth for all divisions was tepid at 0.3%, in part due to a decline in mortgage lending. Revenue from investment banking fees was another weak spot, as fees fell 18% year over year. But BofA’s global markets division recorded a 21% increase in profit, to $912 million, and consumer banking profits were up 49%, to $3.1 billion. Wealth management profits rose 31%, to $1 billion, as client balances hit a record $2.8 trillion.